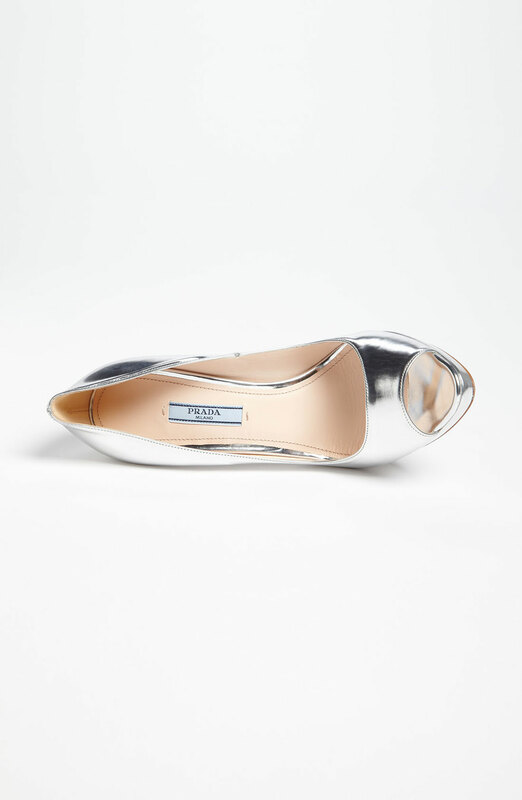 These amazing silver metallic peep toes come from Prada, and would finish off any Christmas party outfit with sheer perfection. I adore silver shoes of course, so my bias is clear for all to see, but with their crisp lines and killer curves, they are sure to be a celebrity favourite. They do cut an amazing figure, and are certainly more wearable than the Giuseppe Zanotti Sharon pump as the platform is a lot less extreme. I also love the smooth upward curve towards the toe. Prada are true purveyors of classic designer, and these shoes would serve well as a go-to party or occasion shoe. They would also make a delightfully different bridal or bridesmaid shoe, and even just as a 'I must have them because they are amazing' shoe too!